Does your provider say you cannot access email across multiples devices or via mobile or smartphone, does your remote email look like something out of Star Trek in 1966 - really cool and advanced, for that era. In marketing and promotion terms amateur email does not present your business in a professional light, it also sends a message about your level of tech savvy. There are over 400 million Google mail users worldwide and via Google Apps for Business you can have the same feature rich system for your business for $5 per user per month. For the one woman / one man band you get the advantage of being able to create up to 30 aliases e.g. sales, accounts, info - these aliases can be used to filter your email thus acting in the role of virtual assistant. You can access it with any device, you have 25gb of space, you have access to Documents, Spreadsheets, Presentations via Google Drive, plus Google Sites, Calendar and a range of other features. 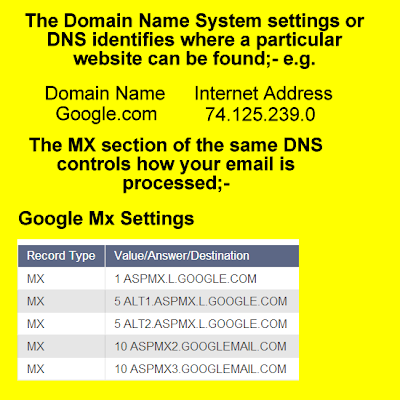 Element 2 - the MX component of DNS settings control how your email is processed. Undo Send - undo or recall an email for up to 30 seconds. Auto translate - translate incoming messages automatically. Preview Google Docs - without leaving Gmail, e.g. 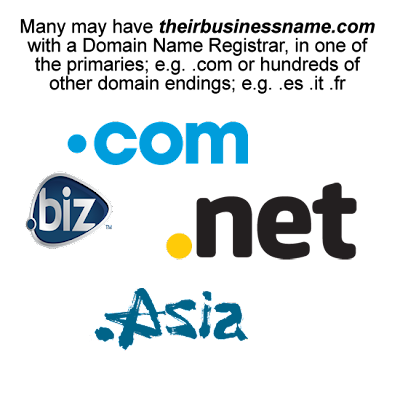 contact form data. 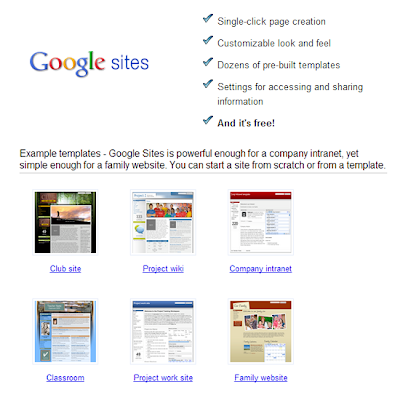 Sign up for our monthly Newsletter containing tips and tricks on how to get the most from your Google Apps for Business set-up or email us directly to learn how to implement a feature mentioned here.